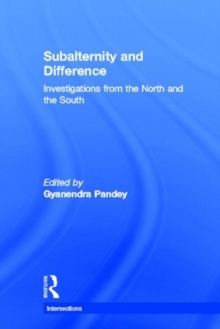 Focusing on concepts that have been central to investigation of the history and politics of marginalized and disenfranchised populations, this book asks how discourses of `subalternity' and `difference' simultaneously constitute and interrupt each other. 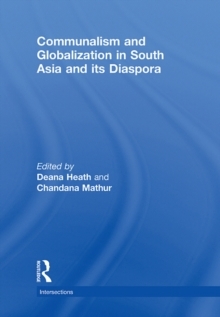 The authors explore the historical production of conditions of marginality and minority, and challenge simplistic notions of difference as emanating from culture rather than politics. They return, thereby, to a question that feminist and other oppositional movements have raised, of how modern societies and states take account of, and manage, social, economic and cultural difference. 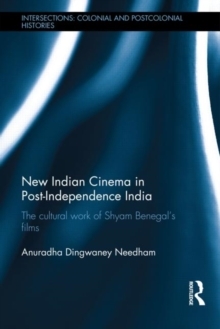 The different contributions investigate this question in a variety of historical and political contexts, from India and Ecuador, to Britain and the USA. 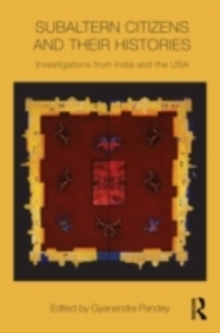 The resulting study is of invaluable interest to students and scholars in a wide range of disciplines, including History, Anthropology, Gender and Queer and Colonial and Postcolonial Studies.